A life-long resident of New Jersey, Tim Nadzan has lived in Bergen County for the last 30 years, and currently resides and has an office in Wyckoff, proudly serving your home inspection needs as a Wycoff NJ licensed home inspector. Prior to becoming a home inspector, Tim worked as a real estate agent and gained valuable experience with the complexities of home buying and selling and how to maximize a home’s value in today’s real estate market. Tim has also worked as a land survey crew chief and held management positions at an environmental laboratory. 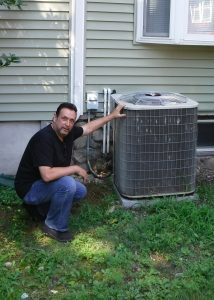 Tim is known for being especially meticulous and thorough… superb qualities for THIS home inspector!